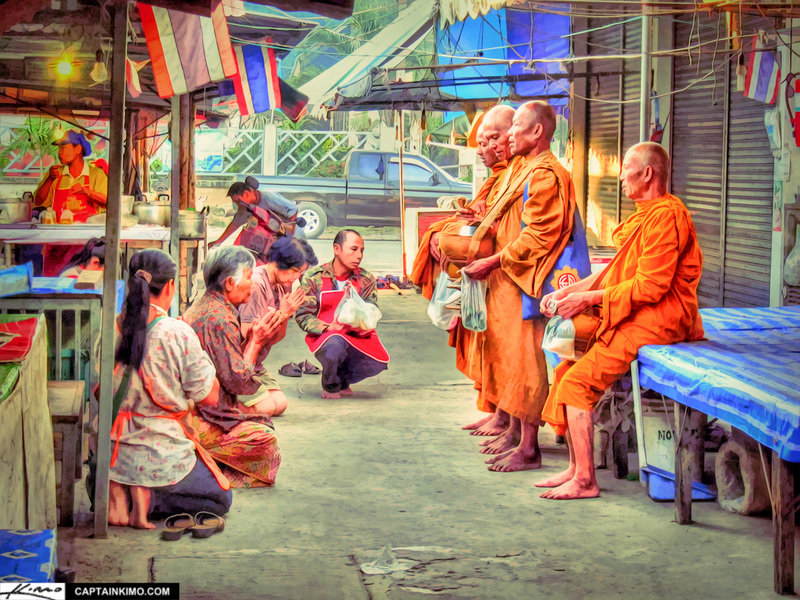 Monks can be seen out and about early in the morning giving blessing to those who hand out donation in the form of rice. It was cool to see them out in the market. I only had a few seconds to get the shot because their blessings aren’t that long. I mange to get one decent image from the set.